In another time and place, Elaine Colandrea would be a temple dancer. In this world, she is a movement artist, Continuum teacher, somatic educator and bodyworker. Elaine’s primary interests have always been the transformational aspects of moving, sounding and breathing, the connection with the natural world and a belief that an artful, embodied presence creates a more humane society. 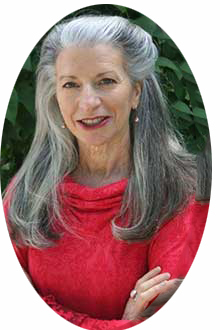 Based in the Hudson Valley of New York where she maintains a studio shared with other somatic explorers, Elaine also teaches regularly in Italy and has been an invited presenter at ISMETA, the Omega Institute and Shantigar Foundation. Elaine shared an intimate, longtime involvement with the practice founded by somatic pioneer Emilie Conrad from 1993 until Emilie’s passing in 2014. From 2014 through 2016, Elaine curated Continuum Movement Arts, a virtual website gallery featuring an international array of forty artists from every artistic medium. This endeavor included producing seven live performance events, from NYC to LA., two visual art exhibits, the creation of two video works, The Spirit Soars and The Nature of the Body and organizing a comprehensive conference honoring Emilie Conrad’s legacy at the Omega Institute. Other influential practices and teachers include Bonnie Bainbridge Cohen (Body- Mind Centering), Susan Harper (Continuum Montage), Robert Ellis Dunn (Laban and choreography), Lenore Latimer (Limon technique), Irene Dowd (Functional Anatomy), as well as study of numerous therapeutic exercise systems. Elaine has a M.A.in dance from Columbia University (1982) and was certified as a massage therapist by the Muscular Therapy Institute (1988.) Her clients and students as well as health challenges have also served as teachers.